LumApps, the intranet recommended by Google, is using Copper to redesign the way its employees engage with new and existing customers. Copper has transformed LumApps’ business over the past year, resulting in unprecedented revenue, employee and customer growth. LumApps’ employees are experiencing the future of CRM in productivity suites with Copper and its employees are now able to focus largely on relationships instead of manual data input. LumApps uses Copper to manage leads and clients for their entire lifecycle, from the inbound lead to forming the lasting relationship. Copper makes everything from sales processes and open opportunities to forecasting more clear. LumApps is also able to identify long-term, high value sales leads with Copper’s technology so that their team’s focus can be on the right open opportunities. In 2016, LumApps was operating solely in Paris, France, with a small staff. Fast forward to late 2018, and they are now operating as a large team worldwide. 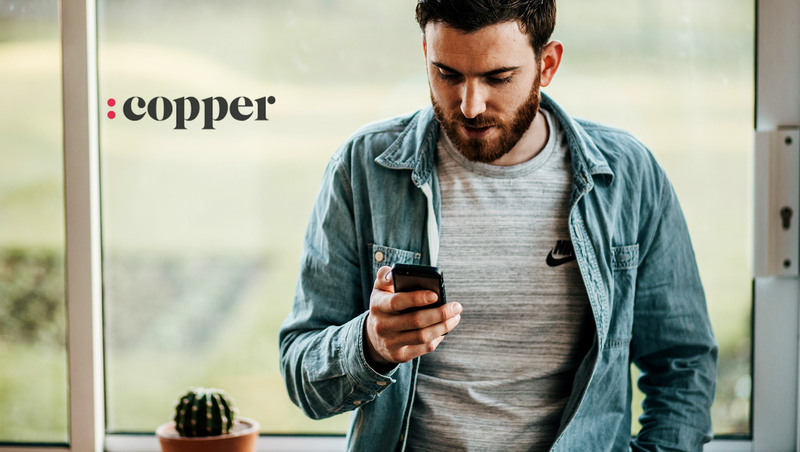 By using Copper to seamlessly manage sales and relationships, LumApps has experienced 450% growth in sales revenue from June 2017-June 2018 and has doubled its user base to over 2.5 million total users across the globe. By being integrated directly within a productivity suite that LumApps’ employees are used to like G Suite, employees are able to productive and efficient when it comes to managing relationships. At LumApps, the relationship makers using Copper are not just on the sales team. Everyone uses it, from the SDR teams to professional services and administrative workers. After LumApps wins a new customer, the administrative and customer service management teams are able to help manage billings in an efficient and organized fashion with Copper. With an easy-to-use interface, and a tool that works within the productivity suites that LumApps employees are already using, like G Suite, there is no disruption to current workflows or tasks. Copper was built to deliver a new way of managing relationships, while still allowing users to be productive, and LumApps is leveraging it to take the company to the next level.